DALLAS — Eddie Robinson Jr., 70, son of the late and legendary Grambling State University football coach Eddie Robinson, passed away on Wednesday evening at Baylor Hospital in Dallas after complications from a heart transplant. 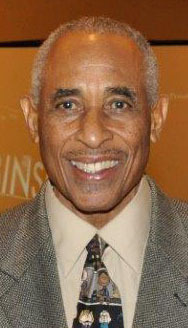 Eddie Robinson Jr., is a former Grambling State football player and assistant coach and one of two children of Eddie Robinson, the winningest coach in Division I history. Eddie Robinson Jr. was a longtime friend of the Fiesta Bowl, which for 16 years has collaborated with the Football Writers Association of America to choose the Eddie Robinson Coach of the Year.